← When Did You Last Review Your Car Insurance Premiums? 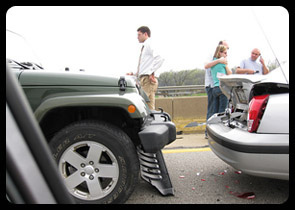 Do you know what you need to do if you are involved in a car accident? You must provide your name, address and car registration number to the other party involved in the accident. If you are driving someone else’s car you must provide their name and address. You also have to remain at the scene of the accident for a period of time. If, for whatever reason, you do not provide this information at the time of the accident you must either visit a police station or meet a police officer to inform them of the accident within one day. However, if someone suffers an injury as a result of the accident you have to show your car insurance certificate straight away. If not, the accident must be reported to the police within one day and show them your certificate of motor insurance within seven days. You will also need to inform your car insurance company that you were involved in an accident. This applies even if you do not wish to claim on your car insurance policy. There are severe penalties if you do not do as you are supposed to if involved in an accident. For instance, depending upon the severity of the case, you could be fined and get points on your license and even be disqualified from driving or even go to prison. Hopefully, the above is of benefit should you be unfortunate to be involved in a car accident. This entry was posted in News and tagged car insurance, Car Insurance Company, Car Insurance Policy. Bookmark the permalink.